Kelly Tucker currently serves as the Operations Manager for Adams Wealth Management and brings over a dozen years of direct brokerage industry experience to the team. 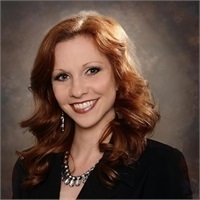 Prior to joining Clint Adams in 2008, she was the Operations Specialist for Synergy Investment Group in North Carolina and has experience in all aspects of branch office operations as well as previous experience in banking and client financial services. As our Operations Manager, Mrs. Tucker oversees the service and administrative activities of the firm, which also includes marketing campaigns, social media exposure and any supporting compliance or recordkeeping functions. Furthermore, she provides additional interface when necessary with the LPL Financial national operations staff on client resolution issues and plays an integral role in maintaining efficiency in the office. On the home front, Kelly is a busy wife and mother of five, yet still remains active in her church where she leads worship, disciples youth and plans special events. In the rare event of spare time, she enjoys volleyball, animals and volunteer work as a Court Appointed Special Advocate (CASA) for children in Collin County. And if for some reason you ever can’t reach her, check the beach.